I’ve only just now—within the last five years—realized how powerful reading is. I think I went through the following evolution. Thinking it was an intellectual nice-to-have (my whole life). Thinking it was a genuine enhancement to one’s cognitive abilities (up to 10 years ago). Realizing it’s the hidden secret of most creative people in the world (5 years ago). I don’t know anyone who is generally smart about the world who does not read voraciously, and others are starting to point this out as well. I’m prone to hyperbole when excited, so I’m trying to control myself, but I’m starting to see this as a binary thing—almost like cybernetic enhancement. When I’m talking to someone, and I assess how interested they are in the world, I can usually correlate that to how much they read. 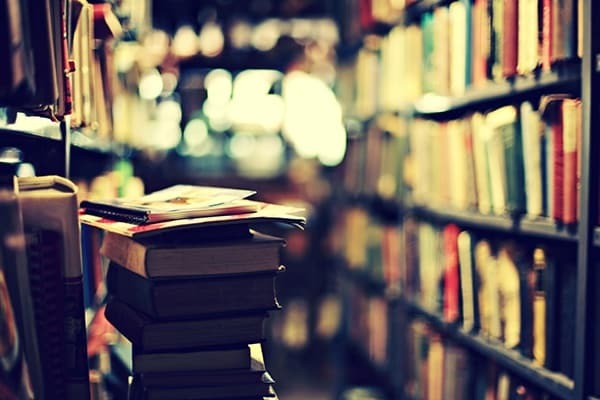 People who read a lot tend to be fascinated with things, and that fascination exposes them to patterns in different topics that in turn make them even more interested in everything. What I’m finding is that when two avid readers are in the same room, the conversations become outbursts of passionate astonishment at the wonder in the universe. OMG, I loved that book! Did you read X? OMG, you have to read X. I’m definitely going to read Y now that I’ve talked to you! Similarly, conversations about one concept often remind one or both participants of an orthogonal topic, which bursts onto their brains and faces like an orgasmic lightbulb. I’m starting to see it as true enhancement, like a bionic augmentation that just makes you superior. It’s like, if you have read 100 great books and thought about their ideas, you are superhuman compared to people who have not. And if you were a superhuman who had that knowledge stripped from you, you would be nothing less than retarded, in the strictest sense of the word. Restricted. Limited. Incapable of growth beyond a certain point. I wrote somewhere else that the reason could simply be multiplication of experience. Imagine that one lifetime with a decent education gives you x amount of wisdom, which is vast. And let’s say that because of variation in genetics, upbringing, and luck, there is a variation in total wisdom of a base person of 20/100. So, people can either be 80 wise, or 100 wise. But that’s before you add reading. If you read, what you do is incorporate the wisdom of thousands of others. You live other lives. You see other worlds. You experience other perspectives. You travel in the lives of the great people of history. You feel their pain, you rejoice with them. You learn from their mistakes. So what you end up with is a completely different scale. Instead of being retarded at 80-100—due to a single-life experience—your scale moves to something like 200-500. I’m making up the numbers obviously, but I truly believe the magnification is that extreme. Most every great writer is/was also a great reader, many of the most successful people in the world credit their success to reading, and I’ve never had a boring conversation with someone who’s read more than 5 books in the last year. I strongly feel that my functional intelligence has been vastly magnified by significant amounts of high quality reading throughout my life, starting when I was very young, but accelerating massively in recent years. I don’t think I’d be nearly as interested in things if it wasn’t for reading, and in fact when I slow down for even a couple of months I notice a difference. If you want to improve your life, I could not recommend anything stronger. And if you’re a parent, consider using every manipulation in your power to encourage your kids to see reading as their primary method of enjoyment and enrichment. I truly believe it will do more to ensure / magnify their success than almost anything else. I am aware that there are lots of different types of reading. I’m referring to reading lots of different types of books, but definitely including top-rated titles like you might find on a New York Times or Amazon best-sellers list. Whatever you add to that I don’t think matters much, but if you’re not that quality of content then I’m sure you’re getting some benefit but not the same as if you were.